We arrived at Colombo Airport 16.30 and had booked a car (with a driver) that took us straight to Kandy. If you have time, spend a day in Kandy to explore the temples and the busy city. Transport: Colombo airport to Kandy city with a car with driver. It took 4 hours (it was a lot of traffic) and the price was 8000 rupees + tips. We pre-booked the taxi at this link. Where to stay in Kandy: Sevana City Hotel Kandy is a clean, modern and reasonable hotel if you want to stay near the train station (approx. 7000rupees/night). 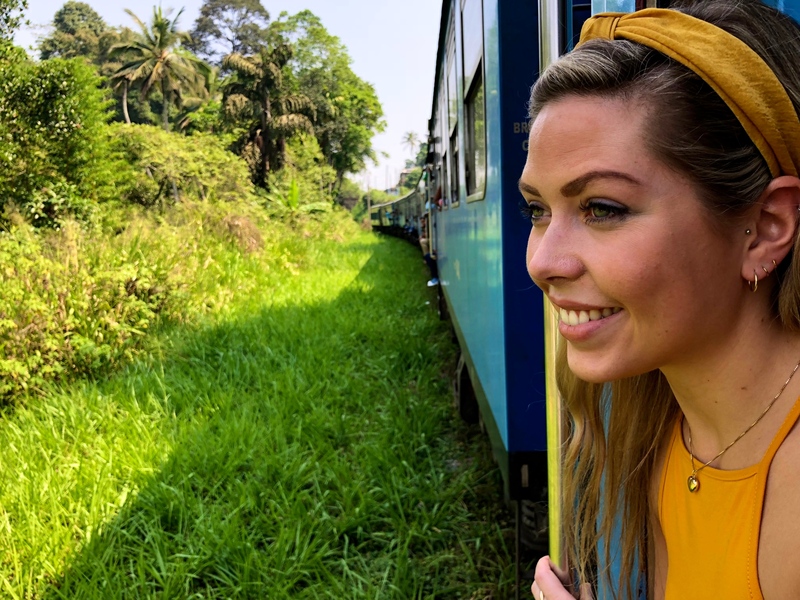 The train from Kandy to Ella is said to be the most beautiful train ride in the world – at least in Sri Lanka! It is the perfect way to explore Central Sri Lanka and the countryside. Read more about the scenic ride from Kandy to Ella here. Transport: 2nd class train tickets booked at departure day (no reserved seating – we didn’t have seats for the first 3 hours). The price is 240 rupees and the ride takes 6-7 hours. 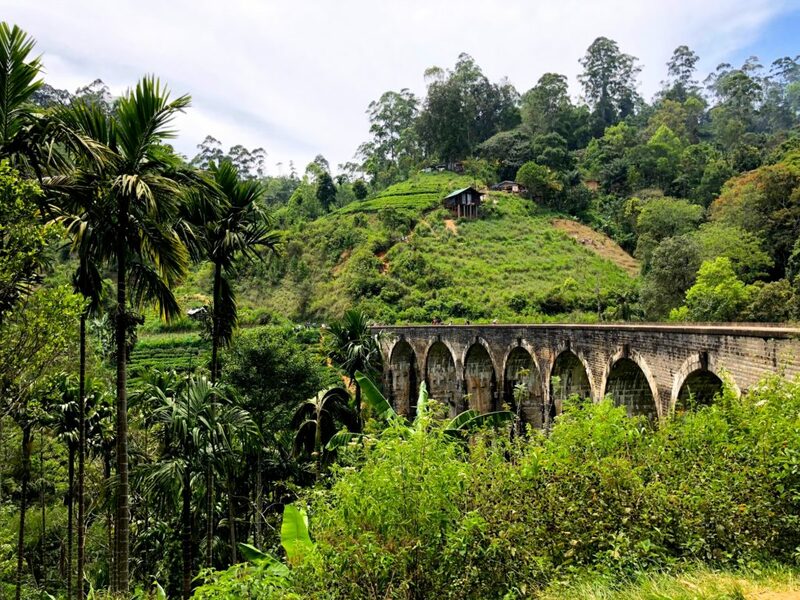 Ella is a small town located in the central part of Sri Lanka, surrounded by jungle and tea plantations. It’s a very popular city to visit, and Ella absolutely deserves a day or two of your time. Read more about what there is to do in Ella here. Where to stay in Ella: We stayed at amazing Ornate View Hotel, where a room costs approx. 6000 rupees/night. One of the most stunning locations I have ever stayed at! 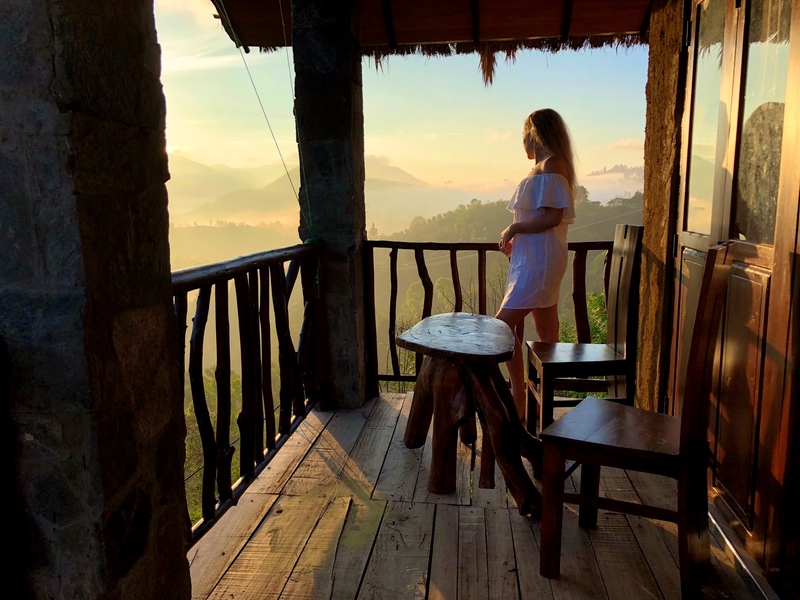 It definitely made my stay in Ella – having breakfast watching the incredible sunrise over Ella’s green hills was an experience I’ll never forget. Get up early to drive to Hikkaduwa. The traffic in Sri Lanka is terrible and the driving is crazy – be safe and drive during the day when going on long trips like this one. 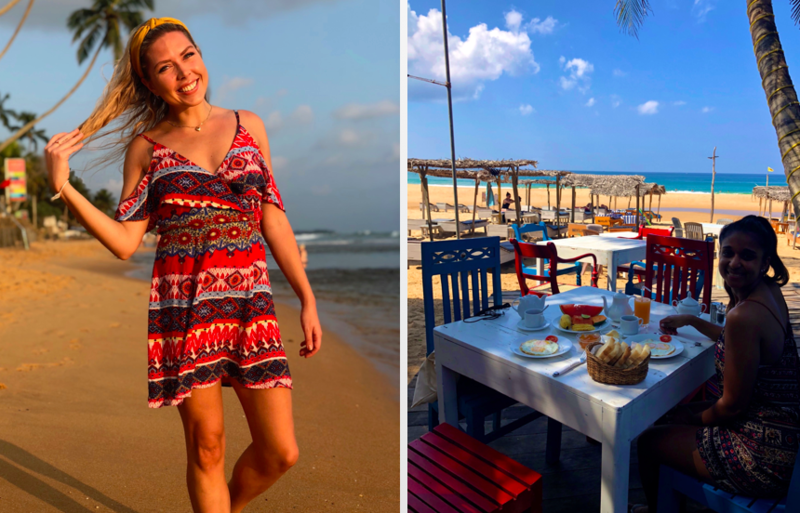 We got up early enough to enjoy the view of the sunrise from our balcony in Ella, and we managed to get to Hikkaduwa just in time for a late lunch and some hours on the beach. Transport: We booked a car with a driver at our hotel in Ella. We paid 15.000 rupees plus tips and the trip took approx. 6 hours. 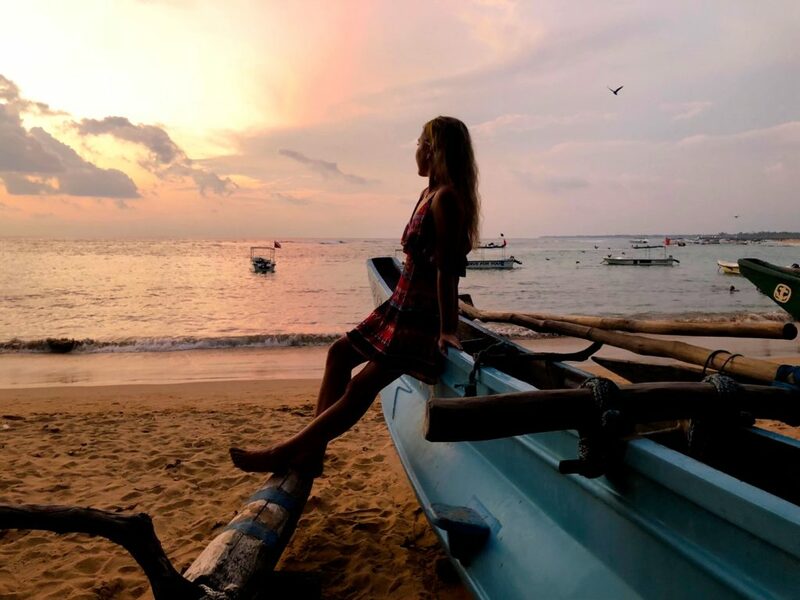 Spend the first day in Hikkaduwa relaxing on the beach. Get up early if you want to see the sea turtles on the beach, right next to Hikka Tranz Hotel (personally I found the whole situation quite sad – turtles getting up on the beach every day to get food, while way too many people are around them, touching them etc…). Next, go to Narigama Beach and find yourself a sunbed. Most of the hotels along Narigama Beach don’t charge you for the sunbeds as long as you eat breakfast or lunch at their restaurant. I can recommend the hotel/restaurant Drunken Monkey for sunbeds, good service and the best calamari I’ve ever had. 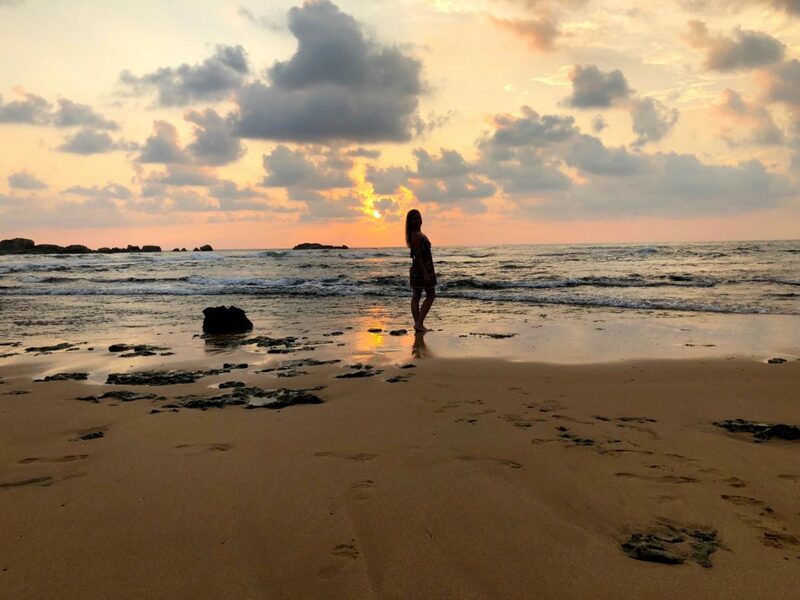 At sunset, find a good photo spot – the sunset in Hikkaduwa is so picturesque that you will end up taking hundreds of photos every evening. For dinner, I recommend the seafood platter at The Den Restaurant (4500 rupees for two people). If you want to continue the evening after dinner, Funky The Bar is a good place for drinks and party! Where to stay in Hikkaduwa: Refresh Hotel is a new, modern hotel with spacious rooms and a decent rooftop pool. It is located right next to the beach and near dozens of restaurants. The service is good – the only minus is that the Wi-Fi was really bad in our room.. Spend half the day doing something else than chilling on the beach. There are many tours to do in the area, and we went on a half day-tour with Norlanka Travels. We went on a boat ride on Madu River, which was very interesting. 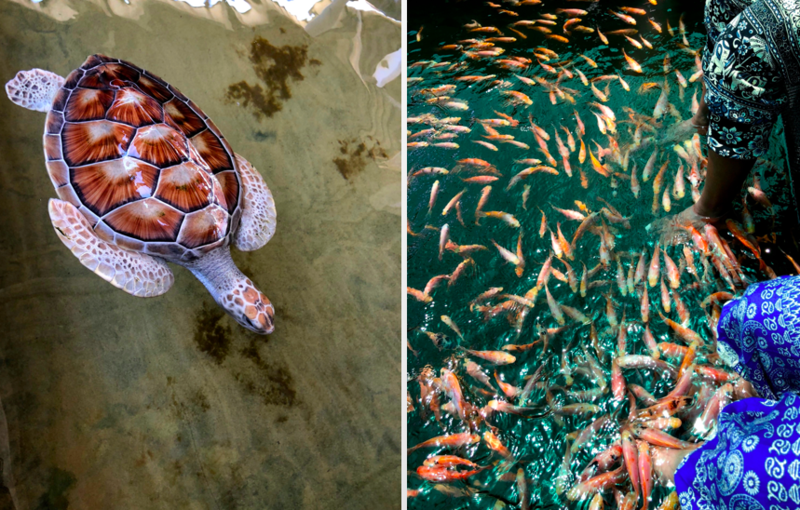 We enjoyed the nature, stopped by a Buddhist temple, saw cinnamon production, tried the “fish spa”, visited a turtle hatchery – and much more. We experienced a lot in only four hours, and that for no more than 4000 rupees (plus tips). When getting back to Hikkaduwa, end the day by treating yourself with a massage in one of the many spas along the main street (one hour costs approx. 3000 rupees), before you enjoy a seafood dinner at Tigri Beach Restaurant. 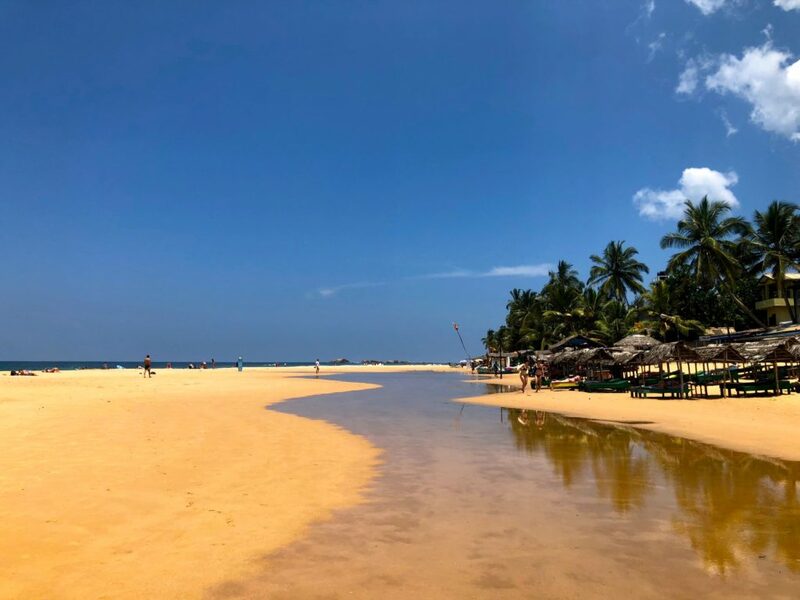 Spend the third morning in Hikkaduwa chilling on the beach – or maybe you want to take a surf lesson, as many travelers do here. 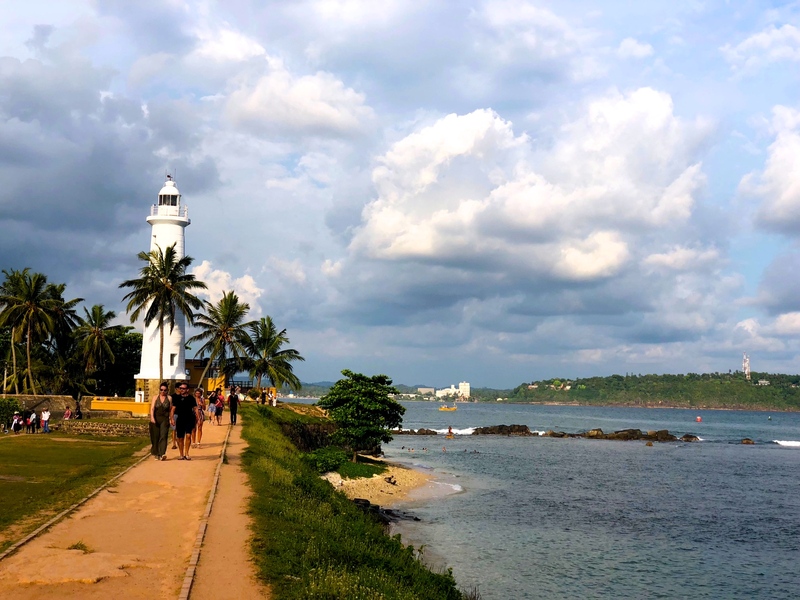 In the afternoon, go to Galle, an old town on the UNESCO World Heritage List and a very popular tourist attraction. 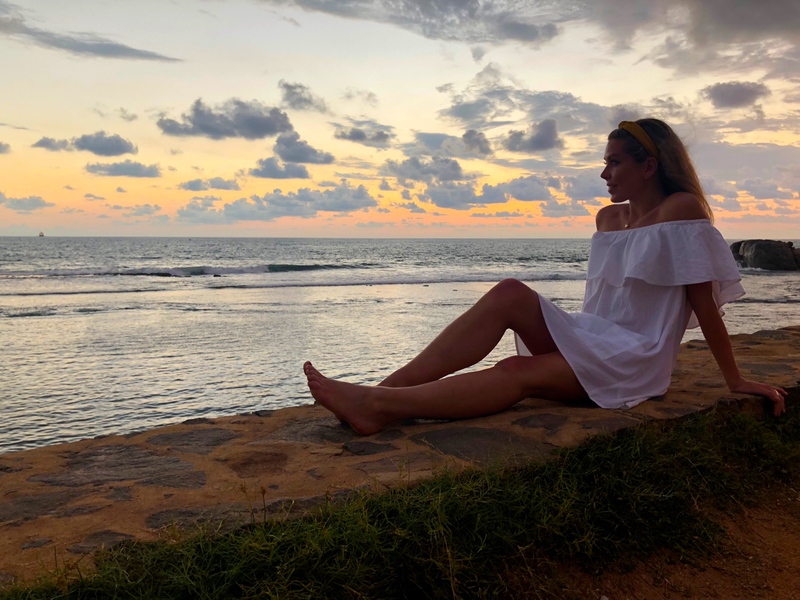 The tuktuk drive is about 30 minutes (1500 rupees), and leaving Hikkaduwa around 15.30 gives you time to both see the old town in daylight and find a good spot to watch the sunset from the fort. 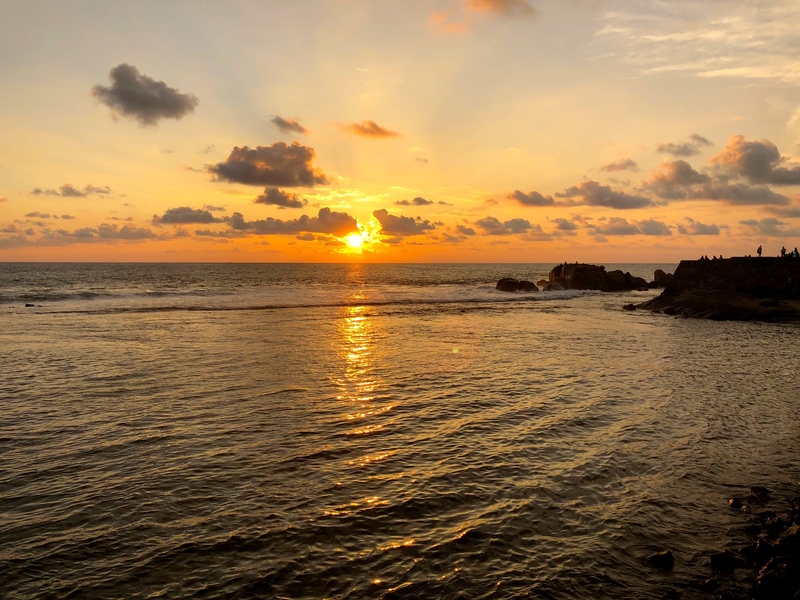 Eat dinner in Galle (btw – most restaurants don’t serve alcohol in Galle because it’s a religious town), before you’re heading back to Hikkaduwa for the night. 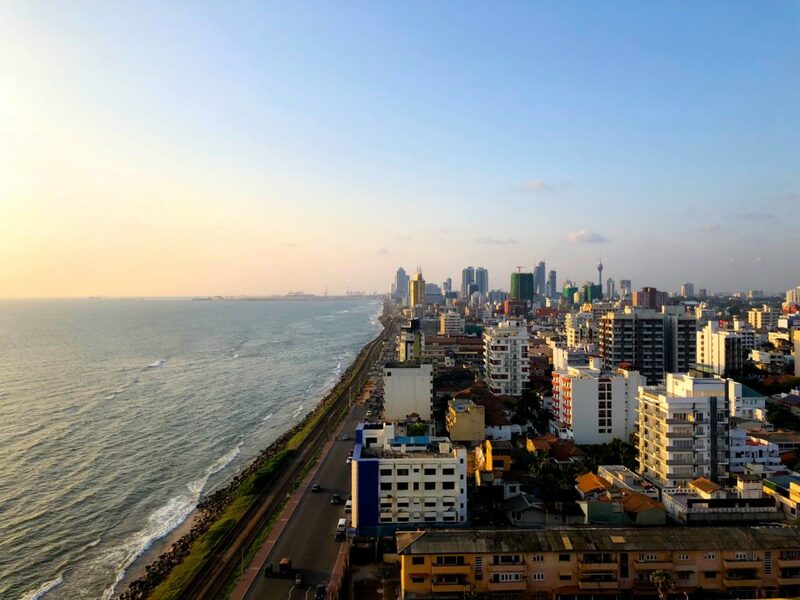 Get up early to reach Colombo before noon, or spend the day at the beach in Hikkaduwa before driving to Colombo in the evening. Transport: We booked a car with a driver for approx. 9000 rupees at our hotel, and the drive took about 2 hours. Start the day with a delicious (and Instagram-friendly) breakfast at One Up all Day Breakfast & Coffee, before you go to Sri Ponnambalam Vanesar Kovil, an old Hindu temple. The temple didn’t seem to be a big tourist attraction – we were the only non-locals there, which made the experience more authentic. One of the guys working there even took us to feed the holy cows in the temple, which was fun and difference experience! Not all cows get rice from a silver platter every day…! Next, walk down to Sea Street, a busy street with several small temples located along it. 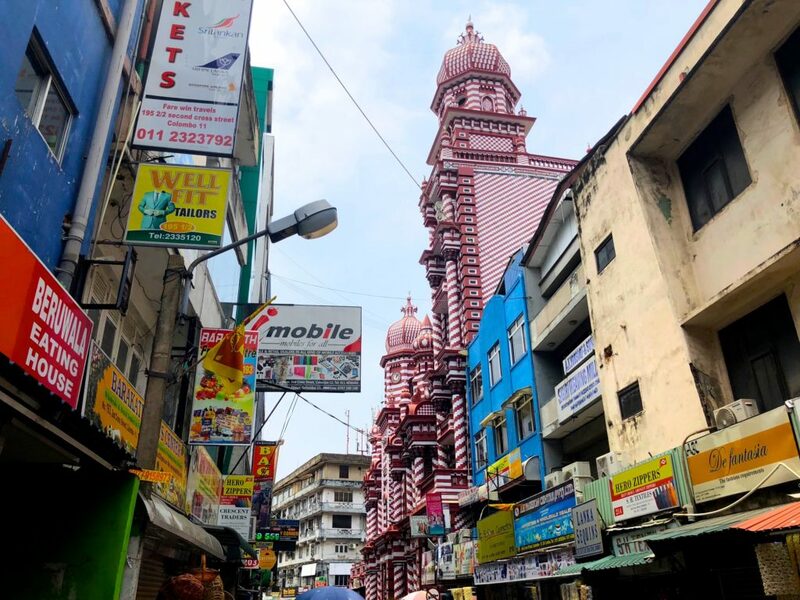 Make sure to check out the nearby Pettah market, an area filled with shops and loads of people and tuktuks. 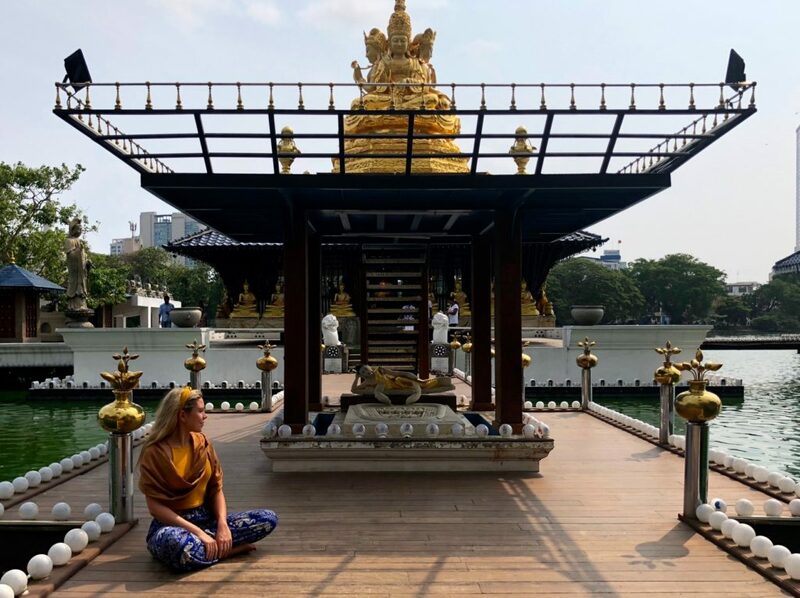 End your walk at impressing Jami ul Alfar Mosque, before you get a tuktuk to the huge Buddhist temple Garangmaya. 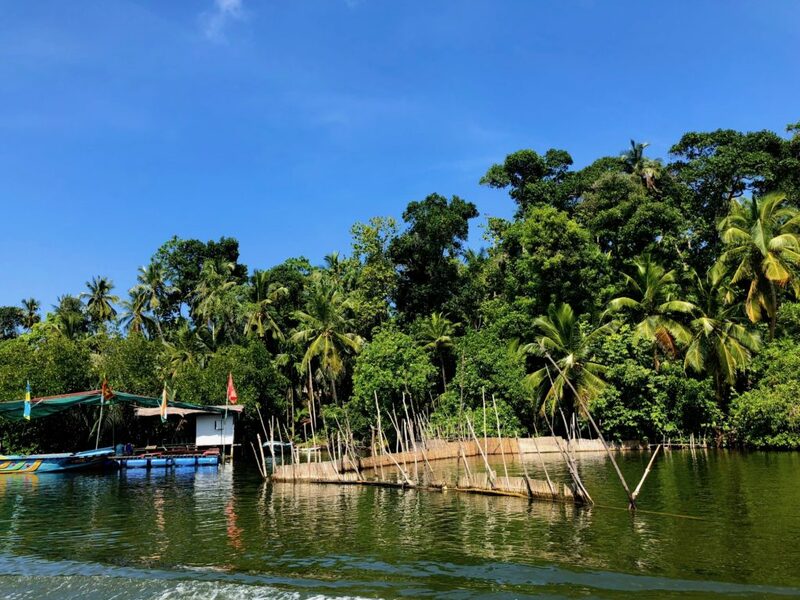 Remember to visit the small, beautiful temple located on the lake a 5 minutes walk from Garangmaya. Eat dinner at Seafood Cove restaurant (book a table in the front of the ocean). The location is so romantic – a beach filled with lights, candles and live music. The food is even better – situated like a seafood marked, you can choose from a table filled with fresh seafood. We had grilled lobster, calamari, shrimps and fish here, and it was definitely the best dinner we had in Sri Lanka. If I remember correctly, we paid less than 4000 rupees each, which I think is a very good price to pay for high quality seafood. Where to stay in Colombo: I enjoyed my days in Colombo very much, and I think the main reason for this was the hotel we stayed at – OZO Colombo Hotel. 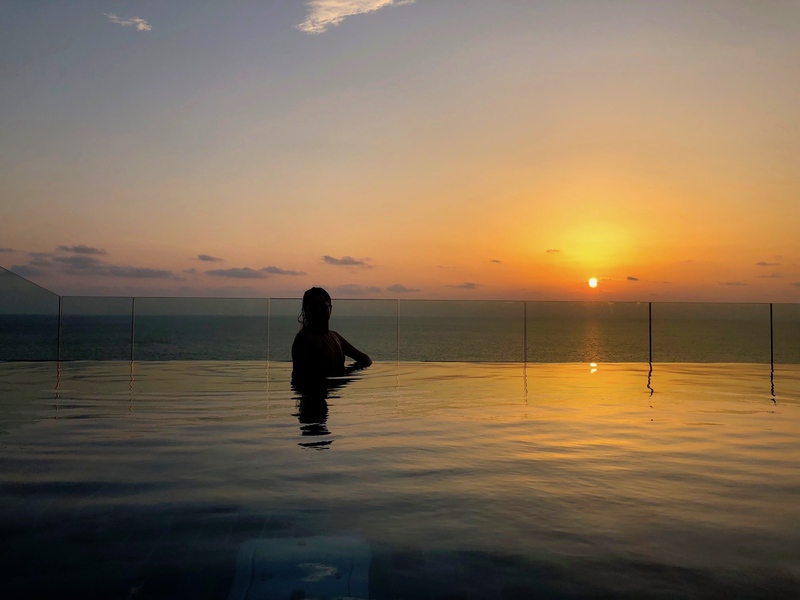 The hotel is unique because of their rooftop terrace with an infinity pool overlooking the ocean (make sure to watch the sunset from the rooftop!). 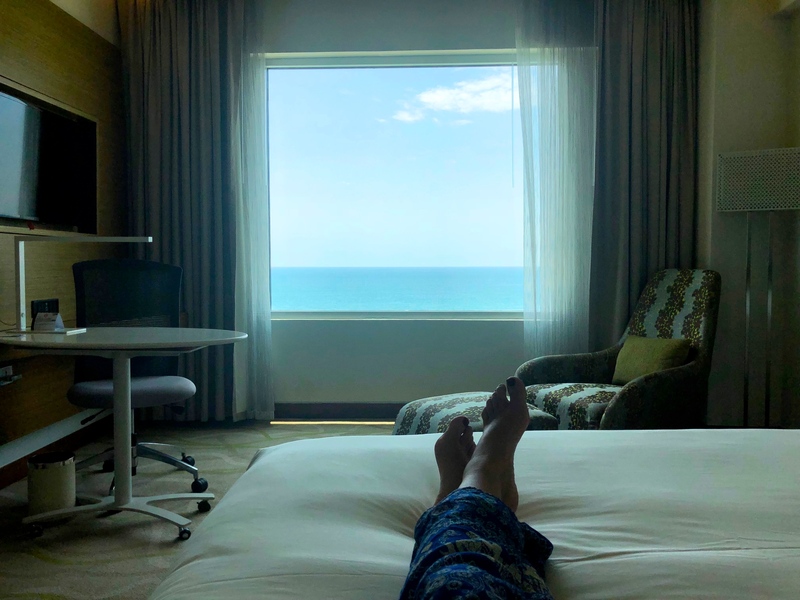 Our room was decent and had an incredible sea view. Highly recommended – check out the pictures in the bottom of this post! Time to leave this amazing country! 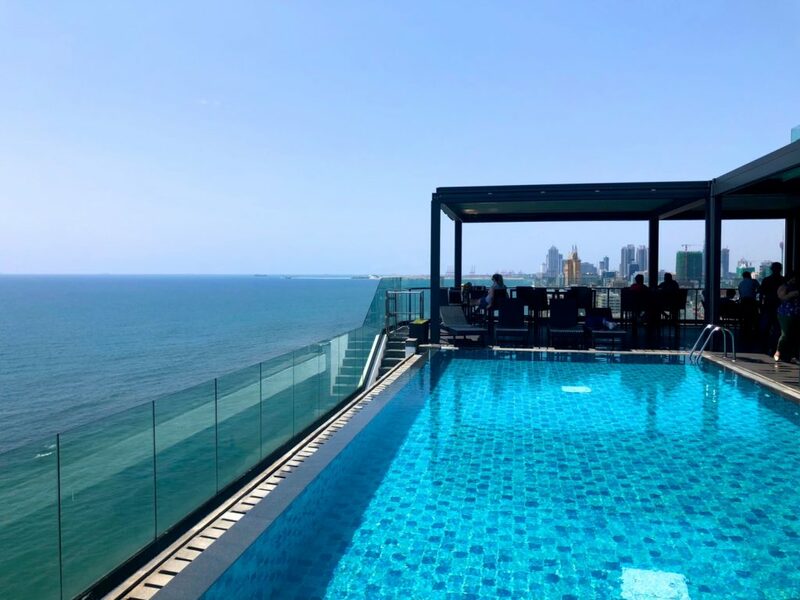 We were lucky and didn’t have to go to the airport before 15.00, and had time to enjoy the amazing rooftop pool at OZO Hotel before leaving (and spending a long night traveling…). Transport: The fixed price for airport transfer from Colombo is approx. 5000 rupees, but we went for an Uber Premium and paid 3300 rupees. Uber is by the way an effective, safe and cheap way to get around in Colombo. 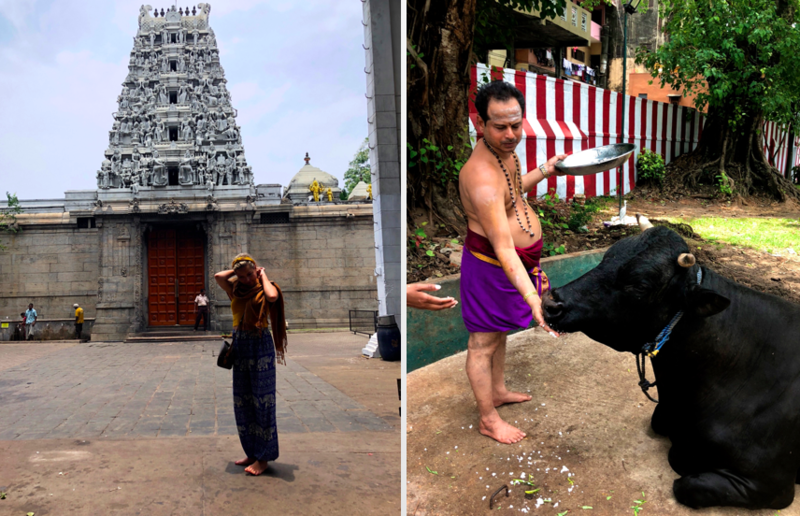 This entry was posted in Asia, My travel guides, Sri Lanka and tagged Asia, Backpacking, srilanka, travelguide by Maria's Adventure. Bookmark the permalink.